Horace was born May 21, 1952 in Scottsdale, GA. He graduated from Archer High School in Atlanta in 1970. After high school, Horace worked as a custodian for approximately 21 years. He resigned and began doing odd jobs with no steady employment. He was forced to stop working altogether in 2002 due to health issues. Horace struggled with drug addiction for about 20 years but has been clean since 2011. Due to his illness, Horace became homeless and was referred to Homes of Light by Hospital to Home (H2H) in August, 2011. While in the program, Horace became a House Manager and graduated from the program in March, 2014. 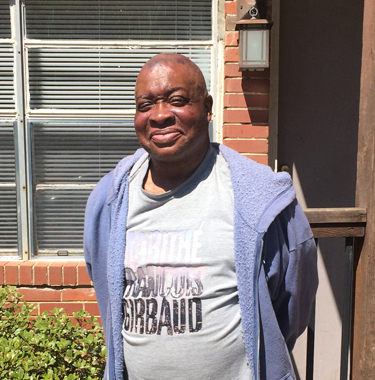 Social Security Benefits also assisted Horace in moving into permanent housing. Horace enjoys watching the NBA and is glad to be in his own apartment and is maintaining his sobriety by following through with AA meetings.